House Republicans had called on major tech company executives to testify at a Sept. 7 hearing on net neutrality. While Mark Zuckerberg, Reed Hastings and Jeff Bezos (and others) declined to appear, the Energy & Commerce Committee's majority says tech companies and ISPs are participating in efforts to write net neutrality rules into law, so a hearing on the topic isn't needed after all. What's happening: As FCC Chairman Ajit Pai plans to roll back the agency's net neutrality rules, there's a big push by Republicans and ISPs to deal with the issue through legislation instead of regulation. Big tech firms and ISPs generally support legislation that bans blocking and throttling traffic and content. But major sticking points remain, including whether a bill should ban internet fast lanes outright (which tech companies want) and whether it should cover interconnection agreements that dictate how traffic is passed between different companies' networks (which ISPs don't want). "As negotiations progress on a permanent solution for net neutrality that ensures a free and open internet, the committee will postpone the original hearing in order to allow talks between stakeholders to continue," a spokesman for the House Energy & Commerce said in a statement. Behind the scenes: Sources familiar with the negotiations tell Axios that a hearing at this point would be counterproductive by forcing companies and members to publicly state their positions, therefore weakening their ability to negotiate privately. Not all hill Democrats are adamantly opposed to legislation, but many are unwilling to give up the strong FCC regulations for a watered-down bill, sources say. They'd rather take their chances in court once Pai rolls back the existing rules — a move that will surely be legally challenged. Republicans, meanwhile, don't see the need to make concessions right of the bat. But everyone has to continue to show willingness to engage. 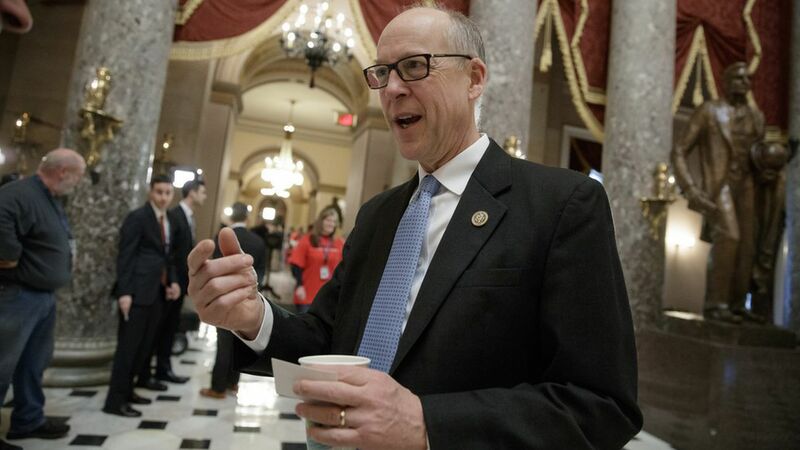 Trade groups INCOMPAS and the Internet Association, who've been in talks with E&C Chairman Greg Walden's staff, issued a statement saying they "share the goal of enshrining net neutrality, and very much look forward to continuing our close work with all interested parties in accomplishing that objective." What's next: Discussions are expected to ramp up after Labor Day when schedules are easier to coordinate. With the FCC's comment period now closed (with more than 20 million comments submitted), negotiations will happen on dual tracks at the FCC and in Congress. Also complicating the Hill process is securing a new term for Pai, who needs to be re-confirmed by the end of the year.